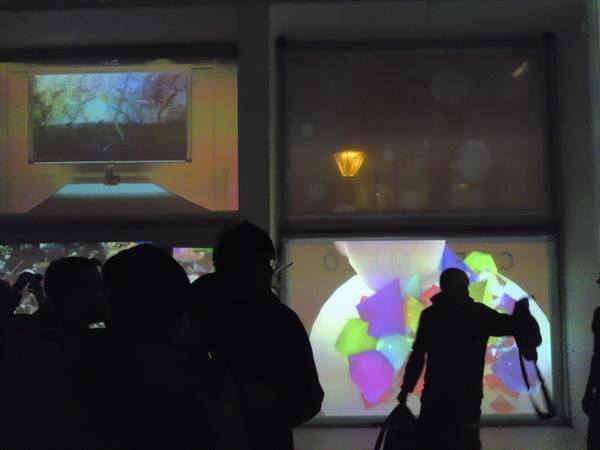 “Submerged!” made its World debut at Higgs Field New Media Gallery in Budapest. Higgs Field is a new multi-media space located in the heart of Budapest. Recent cultural upheavals in Budapest have created openings for new spaces, like Higgs Field, just as they have ended careers and underfunded other creative endeavors. Higgs Field is an important conduit linking Budapest’s thriving new-media community to that of the world. “Submerged!” is happy to begin its voyage at Higgs Field, in one of the greatest cities in the world. Images: Exhibition and Closing Invitations; installation view at Higgs Field.